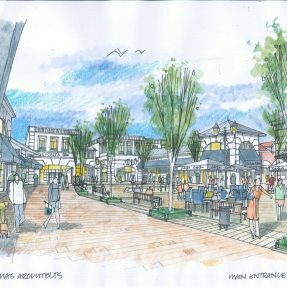 Identify and secure the best site for a dominant designer outlet village serving the Midlands. 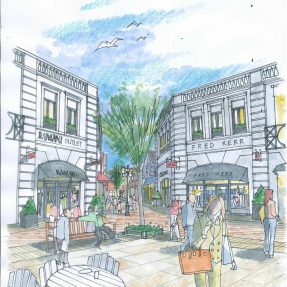 Stakeholders: Cannock District Council; Staffordshire County Council; HMA Architects. Through Rioja a top 5 UK Designer Outlet Village on completion of both phases. With Rioja, the best site in the Midlands equidistant from Bicester and Cheshire Oaks. 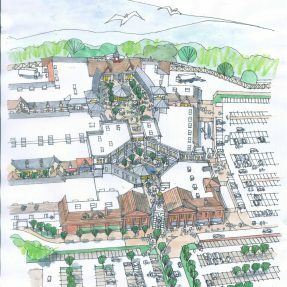 Scale: 280,000 sq ft of restricted A1 retail and circa 1800 parking spaces to be developed in two phases on 30 acres of previously undeveloped land allocated for employment use. Through Rioja full support of the Council as planning authority and separately as landowner. Through U&I and Rioja the irrevocable planning consent. Through Rioja selective funding and operator interest. Compelling B2B marketing collateral to secure the site, development financing and pre-lets required.